Many international brands fled Russia as the global financial crisis hit. 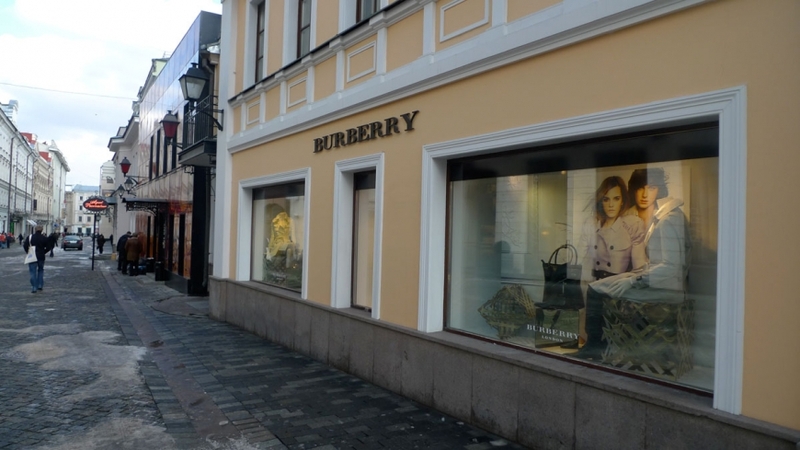 This Burberry boutique in Moscow has stuck it out, serving the wealthier Russians who are still looking for luxury fashion items. 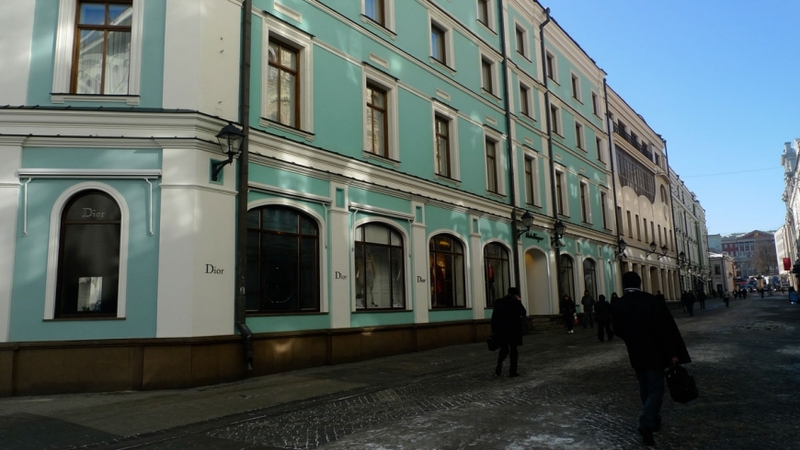 Stoleshnikov Lane, one of Moscow’s premiere shopping streets, looks dreary in late winter’s gloom, but as the weather lightens and Russia’s economy improves, Russian fashionistas are expected to flock to this area once again. 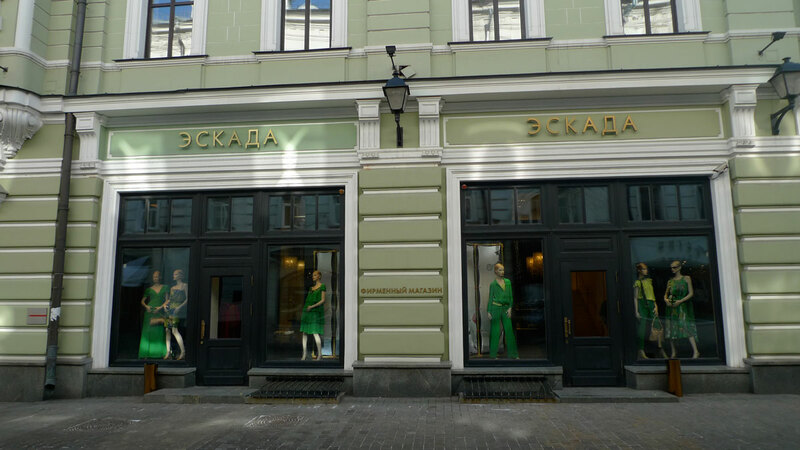 Boutiques on Moscow’s high fashion-packed Stoleshnikov Lane have been quieter since the global recession set in, but enough wealthy Russians are still looking for designer duds to keep the shops alive during the economic recovery. 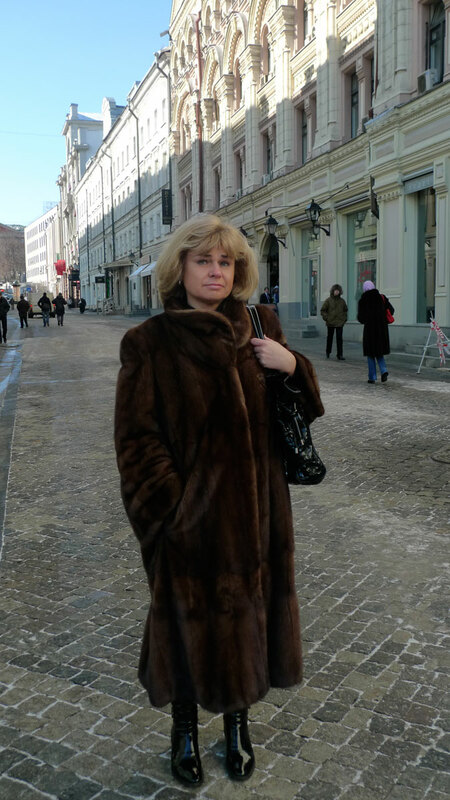 Women have been returning to more classic luxury items during the recession, such as the almighty fur coat – which they consider a lifetime investment.